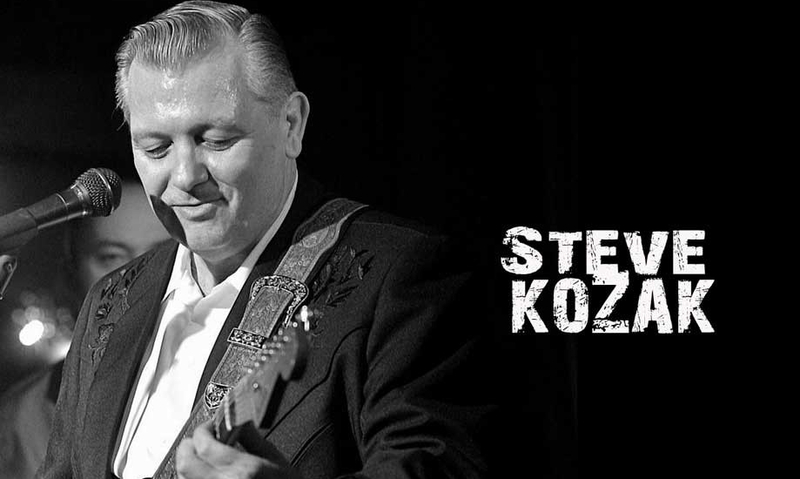 Just in time for Father’s Day Bozzini’s is excited to finally have 2018 Western Canadian Music Awards Blues Artist of the Year nominee Steve Kozak perform an intimate performance in the Upstairs Lounge for the first time. Vancouver born Steve Kozak has been a mainstay on the western Canadian Blues scene since the mid-eighties. Backed by his some of Vancouver’s top musicians Kozak has built a reputation as one of Canada’s premier Blues acts and is known as the go to guy in Vancouver for the west coast Blues sound. When it comes to tasty West coast blues guitar, Kozak’s name is at the top of the list in this nation – just ask greats like Duke Robillard and James Harman who have shared the stage with this gifted bandleader, instrumentalist, writer and singer. Gaining national recognition in 2012, Steve Kozak won a prestigious Maple Blues Award for New Artist or Group of the Year. Steve was nominated for a 2017 and a 2018 Western Canadian Music Award for Blues Artist of the Year.